England could be on the verge of a new tree planting boom after a forestry innovation fund launched by a Government minister at a Confor event received applications to plant more than 1000 hectares of new woodland. Rory Stewart MP launched the £1 million Forestry Innovation Fund at Modern Forestry: Unleashing the Rural Potential at Westminster last November. Now, Forestry Commission figures have revealed a very strong response to the fund, which encourages schemes that will promote the growth of the forest industry in their region and have the support of their Local Enterprise Partnership. 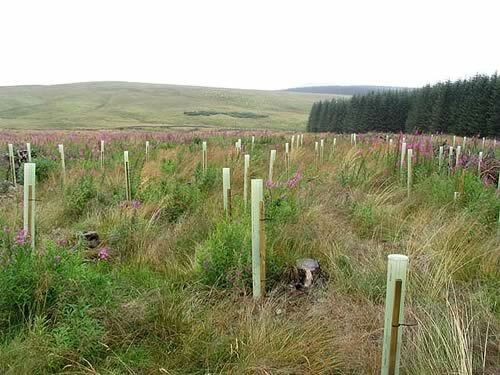 The Woodland Creation Planning Grant (WCPG) is financed by the fund, to address common complaints that significant upfront costs are holding back potential planting schemes. The WCPG pilot ran from December 2015 to February 2016. Forestry Commission England received 11 applications, offering grants to all applicants and 10 of these offers are being taken forward - relating to proposals for a total of 1,064 hectares of new productive woodland and ranging from 33 to 339 hectares in area. “This is excellent news, but it is vital that these schemes move to rapid approval. Confor’s recently expressed disappointment that only 564 hectares of new woodland was created in England between April 2015 and March 2016, a fraction of the of the amount needed to meet the Westminster Government’s annual target of 5,000 hectares. This has led to concerns, from the nursery sector in particular, of a crisis of confidence in the forestry sector. “We must address the bigger issue of the poor uptake of the Countryside Stewardship scheme and the bureaucracy that is holding back potential planting. What the new figures show is that innovative schemes can have a big impact - and we need more of this kind of approach.